The first episode of Ray’s brand new series, Ray Mears Close Encounters, will be broadcast at 9:00 pm on Wednesday 17th July on ITV1. 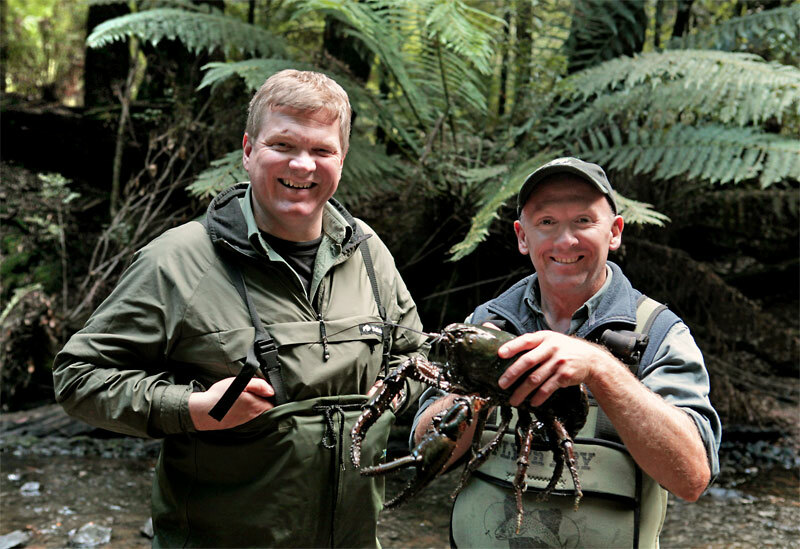 In this new two-part documentary series, survival expert and presenter Ray Mears follows two of Australia’s most iconic animals, the Saltwater Crocodile and Tasmanian Devil. By studying these animals up close and in the wild, Ray gains a privileged insight into their unique habitats, in Australia’s Northern Territory and Tasmania’s wilderness. 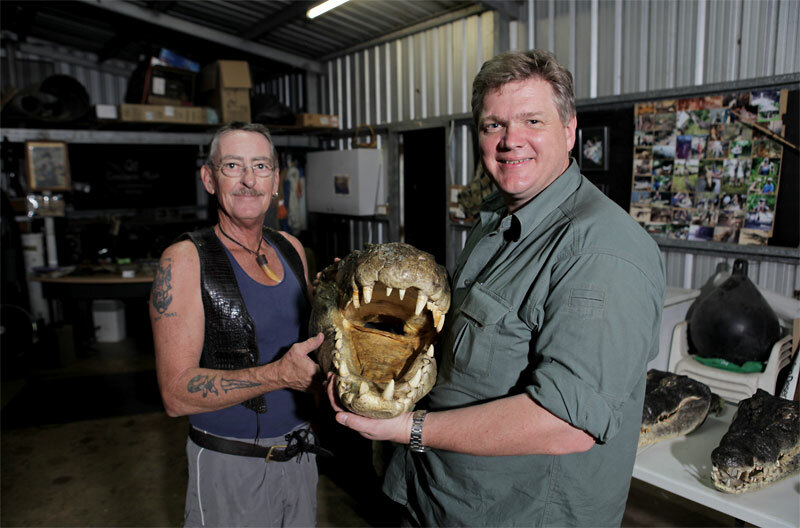 In the first hour-long episode, Ray follows the infamous saltwater crocodile, Australia’s most notorious predator and king of the tropical Northern Territory. But how do you live with a dinosaur predator as your neighbour? As the city of Darwin’s crocodile population explodes to one crocodile for every person, Ray meets the people with a key role in managing how man and beast co-exist and gets a close look at Australia’s most prevalent man-eater. With the help of experts – park rangers, biologists, vets, Search and Rescue crews and indigenous people who live off the land – Ray shows the challenges each creature faces. Up until 1973, the fearsome Aussie croc was hunted close to extinction, but forty years ago hunting was banned and, ever since, the crocs’ population has exploded. As the suburbs grow, the danger of conflict between crocs and suburbanites continues to increase. Tune in to ITV at 9:00 pm on Wednesday 17th July to watch this episode. This entry was posted in Ray Mears, Site Announcements on July 9, 2013 by Woodlore Team. Enjoyed both programmes, a different spin on wildlife TV . When’s the next series?? I want to see more of Ray getting bitten by Mosquito’s and pitching camp. Mind you if i were him i would much rather look at wildlife. Excellent program. Personally i liked the production and the music gave it a bit more of a loose feel, along with the humour and wry looks at the camera. Respect to Seaweed, and people with melons!! Does anyone know the name of the track that was playing at the start of the program? The music felt out of place though… a bit too up-beat for Crocodiles. But ITV has a different style of programme compared to the BBC I guess. Ray, good to see another series! Excellent, cant wait to watch this! How did I not see this in the listings? I’m loving the nature route Ray’s programms have gone down, but I do miss the bushcraft skills side as well. Excellent news. Will also look forward to this.